With the resignation of Del. Algie Howell, the 90th House seat becomes vacant. A special election has been set for August 19, with a candidate filing deadline of next Monday, July 7 at 5pm. The short date means party nominating contests have to take place this week. Democrats have scheduled a caucus for this Saturday, July 5, times and locations to be announced. I’m not aware of any plan from the Republicans. 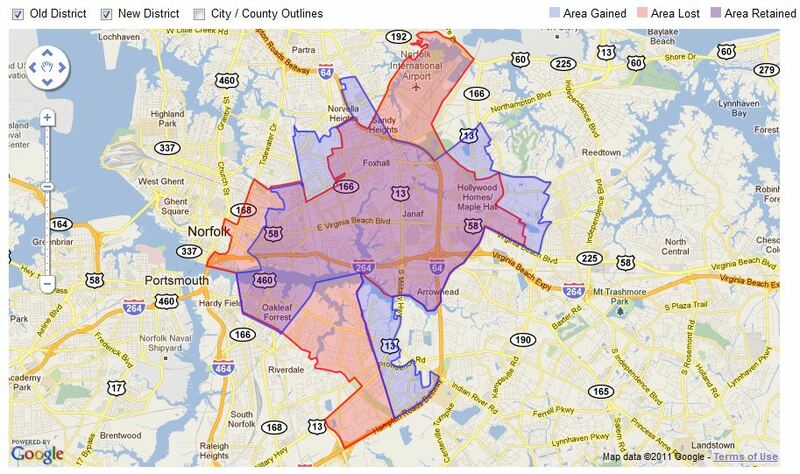 The district, according to VPAP, lies 60% in Norfolk and 40% in Virginia Beach. Democrats win overwhelmingly here, always with more than 75% of the vote. So the only real question is which Democrat will be the party nominee. Two have said definitively they are running: Rick James, who challenged Howell in 2011 and 2013, and Terrell Kingwood, who is seeking office for the first time. Other names out there include Joe Lindsey and Rodney Jordan. Until we have the official call for the caucus, we won’t know what the candidate filing deadline is. My guess is Friday. It’s really a shame this had to happen so quickly. A candidate, who is likely to be in this seat for as long as s/he wants, is going to be selected by an extremely small minority of voters in the district. That isn’t democracy, folks. Joe Lindsey is running. Heard him talking about it at the council swearing in. Also heard the caucus is on July 5th. No Republican will run, but honestly someone other than a Democrat needs to so we can have some semblance of debate and the winner doesn’t feel like he just got handed the seat on a silver platter. Yes the 5th, as I noted above. I’ve got the locations for the caucus and the start time – 10:30. Trying to verify the end time – none of the links to the call work.